for 2 years I been trying to make myself an stable trading strategy..I kinda figurit out this one...kinda...but lately..I place PUT...it comes a CALL.. Now..I have to look for another regulated and tristed broker...any ideea?? 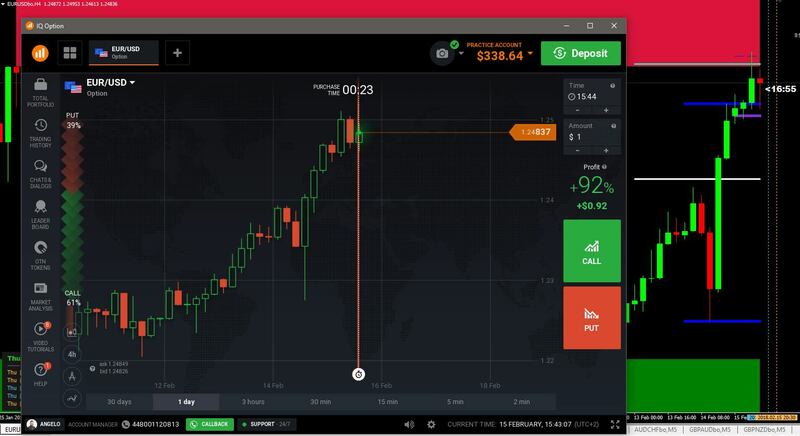 Is your MT4 also demo account? In general: Demo quotes are different from live quotes. Your meta trader demo (broker) and IQ Options quotes are provided by different liquidity provider and therefore quote differences appear. Its not necessarily and always manipulation, in fact, in 98% its not manipulation but disinformed traders. 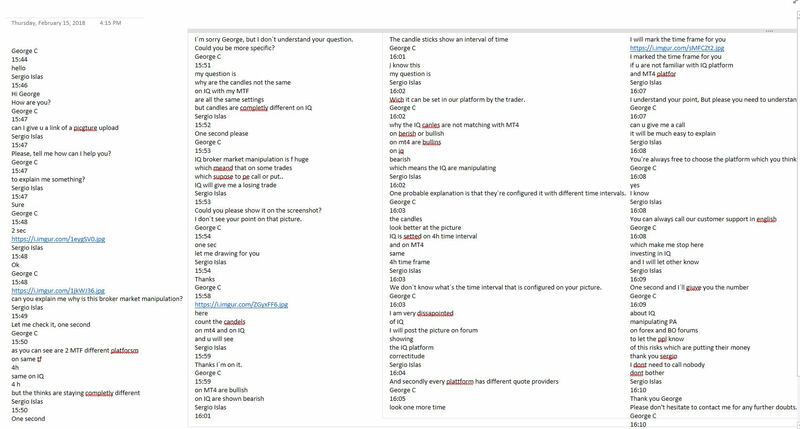 Taken from the conversation you had, its clearly disinformation, because you claim that IQ Options candles has to be the same as ur mt4 brokers quote feed. I dont like BOs at all and would never recommend anyone to trade it, but i guess you are simply wrong in that case. I have noticed that Tickmill Live quotes matches like 99% of times with IQOption live quotes. And USE REAL IQ OPTION TRADING ! Then You will never get such issues.! 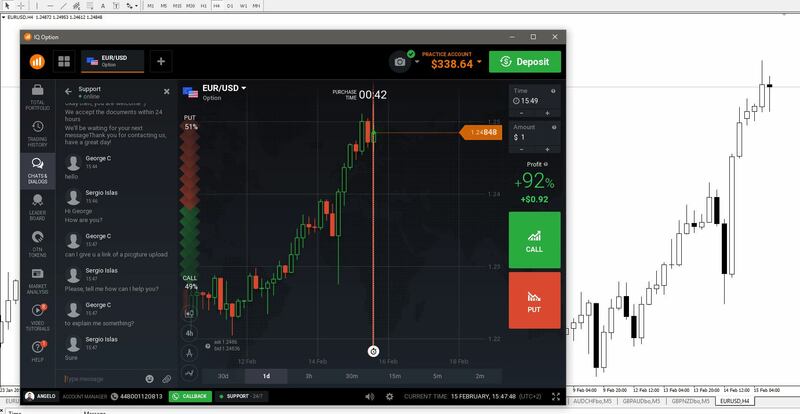 I used iqoption for almost 3 years until esma banned binary options in europe and lost the pro in iqoption. I've never had these problems, it means that you do not have a good manager account, (all account managers in iqopton are not good) otherwise you would have told that their supplier is leverate, look for this supplier in mt4 and you'll see that the candles are the same . Then change of strategy often never brings good results for up iqoption tells you. If you want to use an MT4 broker you also have core liquidity markets also makes 60 seconds options, while that go markets starting 5 minutes. MT4 price and IQO price different? Well... it doesn't surprise me. It is not a secret when we trade against the house. House always win, house always right.